I am a plumber in Tulsa, OK and my construction contractor buddy introduced me to the WINBAG®. He swears by your product up and down about saving him time with his various construction projects. I thought, well how in the world would this help me with my plumbing projects? So it was my goal to find out!!! To my surprise, it HELPS A LOT and the first day of use it paid for itself!!! From water heater installation to working in some leverage behind hard to reach pipes, this little tool is a miracle worker! I can not recommend the WINBAG® more highly. Keep up the innovation and good work! Installing and leveling cabinets is typically a two man job. One man to shim and adjust and another man to level. The WINBAG® has made cabinet installation a one man job for most projects! 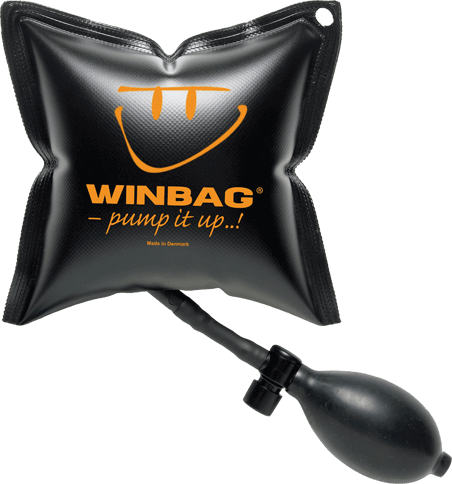 The WINBAG® is so easy to use – slide it behind the cabinet and pump to adjust the level with ONE HAND. The WINBAG® holds up to the heaviest of cabinets as well all while being able to adjust with one hand. I can not say enough about this amazing little tool – it is easy, lightweight and you will not find any guy on my crew without a WINBAG® attached to their tool belts! I bought a pair of WINBAG air wedges to help me install six new chestnut shutters on my ancient farmhouse in the Midi-Pyrénées region of S W France. Until I found WINBAG’s I thought that I might have taken on too much for one person. Each shutter has three heavy iron lift-off hinges which all have to be aligned at once. Lifting the shutters, which are over 50kilos each and 2.5 meters high, into position with what has to be pin-point accuracy would normally take 2 to 3 people. I achieved this by placing the shutters against their frames and resting them on my WINBAG’s on the ground. It was then a matter of holding the shutters steady and inflating the WINBAG’s to lift the hinges over their respective pins. Of course you can then not reach down to inflate the WINBAG’s – unless you do it by remote control…using your foot! Even wearing heavy protective site boots I found that I still had very precise control. WINBAG’s didn’t just make the job easier -they made it possible ! We have “easy change” implements on all of our tractors to switch out buckets spikes etc. They aren’t always as “easy change” as you would think. We decided to use two WINBAGS® in place of a person to tip the implements up. They actually held the weight of the bucket and one person could attach it without help. Probably the most fun use we have used it for so far was to prop up a fence post a horse tore up. We stuck the bag in the hole and blew it up and it held the post tight all day until the guys had time to get to it and fix it. 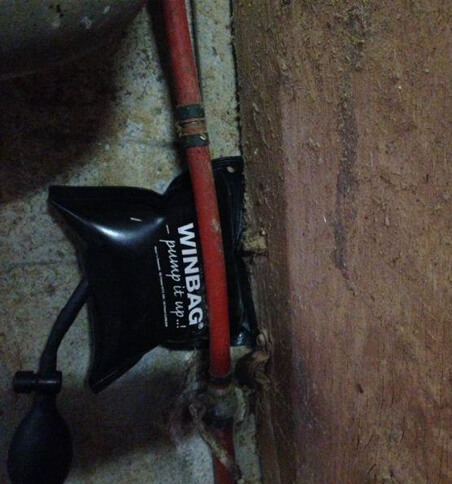 I use the WINBAG® to help level heaters and pumps that I am installing. Its much easier with this great product! Saves me a lot of time and the job is done fast with these helpers ( WINBAG® ). Its so much easier with their aid. I’ve also used it on leveling skimmers before I set them. Professional wise this is a product I will use in the future always. Also use them privately in and around my house leveling the washing-machine got a new one so easy to level now with the product. My wife used it for a wobbly book case to level it without my help she was able to do it by here self with the WINBAG®. WHERE HAVE YOU BEEN THE PAST 40 YEARS! I recently received a package of WINBAGS and as a custom builder for the last 40 years all I can say is where have these been! What a time saver and helper. If you’re like me I am always looking for something to make my job easier and you have done it. Not only are these bags easy I don’t need to pay that second man to do the shimming around the window or door. My wife and I always seem to have an ever growing honey-do-list of things to get done around the house. There have been COUNTLESS times that the WINBAG® has made this list a LOT easier to swallow! 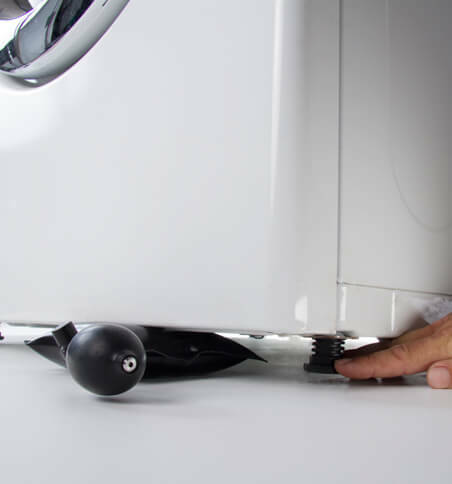 I used it to install new appliances – quick easy, no scratches or dents. My wife even used the WINBAG® to level and fix a wobbly bookcase all by herself. The bag price has already paid for itself! Really pleased with these, they are very durable. Used for raising slab doors that was solid core, no problem. Will also use for windows later. Excellent product. 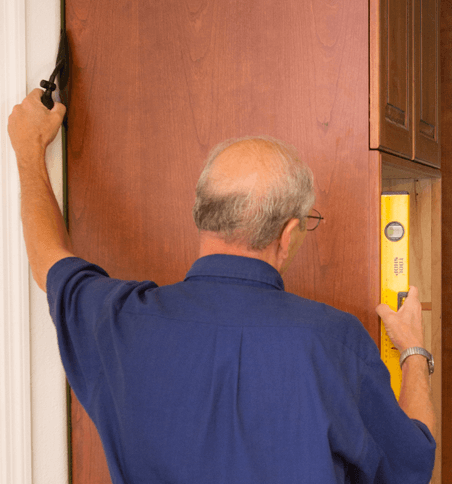 Works great for leveling cabinets, holding doors in place while working on locks or aligning them in the frame. Buy a pair to ensure the benefits of such a good product. I love these. I am remodeling a forty year old home. Most of the work I am doing alone. So far I have used these for interior and exterior door installations. But you could use these anywhere that you need to give something a little nudge. This is an absolutely nifty and very useful item. You may not know you need it until you do, but they you will be overjoyed you have it. Buy several of them and keep them handy in your vehicle or shop or around the house. Very well made and very reasonably priced. One of the GOOD values that comes along every now and then. The push button air release makes this the best air shim available. Great for leveling appliances. Just slide in pump up and adjust legs. It’s very rigid. 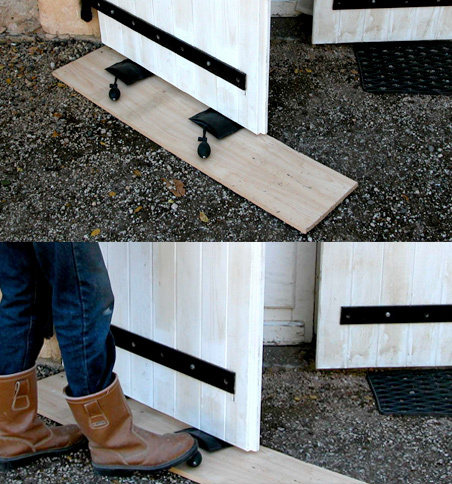 Making it easier to slide between door and jam. This is a product I wish I had had years ago. Works flawlessly. Seems quite sturdy though time will tell. Have already used it (I bought 4 because I knew what I was going to do) to lift a piano so I could get sliders underneath it, tilt a bookshelf so I could get shims under it, and move a bookshelf sideways on a carpet. Again, why didn’t I get these earlier?? Would have saved a lot of back pain. I got two of these and they have come in handy already. I had to lift my table saw about 1 1/2 inch to slip parts for a mobile base under it, working by myself. These were perfect to slip underneath, and with a thin board on top to spread the load on the bag, 2 of them together were able to lift one side at the time. Without the air wedges I would have had to find someone to help me lift the table saw with a lever while I slipped the pieces underneath. I can see these will be very handy. You just need to do you know planning for how best to use them. AWESOME DEFINITELY RECOMMEND!! As a master carpenter for over 15 years I saw these and bought them immediately. They were met with hesitation and jokes by other carpenters on the job, but still had an audience when first trying them out on a 8 foot solid core door about 140 lbs. Not only did it hold the door itself but I was able to get it plumb easily and the first nails in after that the jokes stopped and where do I get them began. As for windows let’s just say we hung a window well over 225lbs easily and without adjusting shims. AND IF YOU CAN ONLY GET SHIMS IN ONE SIDE OF YOUR OPENING THESE ARE THE FASTEST WAY TO GO, STOP CUTTING SHIMS TO EXACT MEASUREMENTS. JUST ORDER THESE YOU CAN’T GO WRONG!! SAY GOODBYE TO STUBBORN BASEBOARDS! Very nice & durable rubber. Would highly recommend buying two at a time. One works well but two would make this item infinitely useful. I just bought it because it was cool, but found myself using it on the second day to aid in tearing out stubborn base boards. Just threw the bag behind the board and POP the board came loose. You really can use this item in almost every task at hand, you just need to change the way you think about doing things and this bag will make life a lot easier. Since using this product I only think it is fair that I say how good the product is, its very well made and is a invaluable tool for anyone doing any kind of carpentry where you need to do shimming or lifting, an absolute diamond in a coalmine, small enough to fit in any tool bag or box but worth its weight in gold when your in a tight spot.